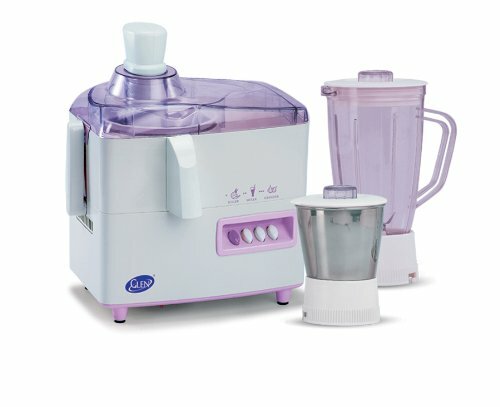 Grind, spin and squeeze fresh juice or blend your shakes and smoothies in very less time with GLEN GL 4013, a multipurpose juicer mixer for your kitchen. The design is perfect for table or counter use. It is very sleek and easy to maintain. The centrifugal juicer chops up the fruits with a flat cutting blade and simultaneously spins at a good speed to separate the juice from the pulp. To Recieve updates and possible rewards for Glen GL4013 please sign in. To Recieve updates and possible rewards for Juicer Mixer Grinder (JMG) please sign in.